DRUMS OFF CHAOS was one of Jaki Liebezeit’s central projects of recent decades. After the death of the master drummer in January last year, the band still is playing with his spirit: monotone, insisting, hypnotic. Liebezeit was very pleased that the craft of drum making has not changed much over the course of time. Be it that a skin is stretched over a drum with cords or bolts or be it that the skin is out of plastic or animal hide – the principle remains the same: Either enclose a hollow space without which there would be no sound (just imagine a drum filled with clay!). Everything is reduced to the essential: the hollow space in the centre. It is the invisible that matters. All tracks on the second DRUMS OFF CHAOS EP revolve around this vacant space in the middle. A centre that is filled with – nothing. 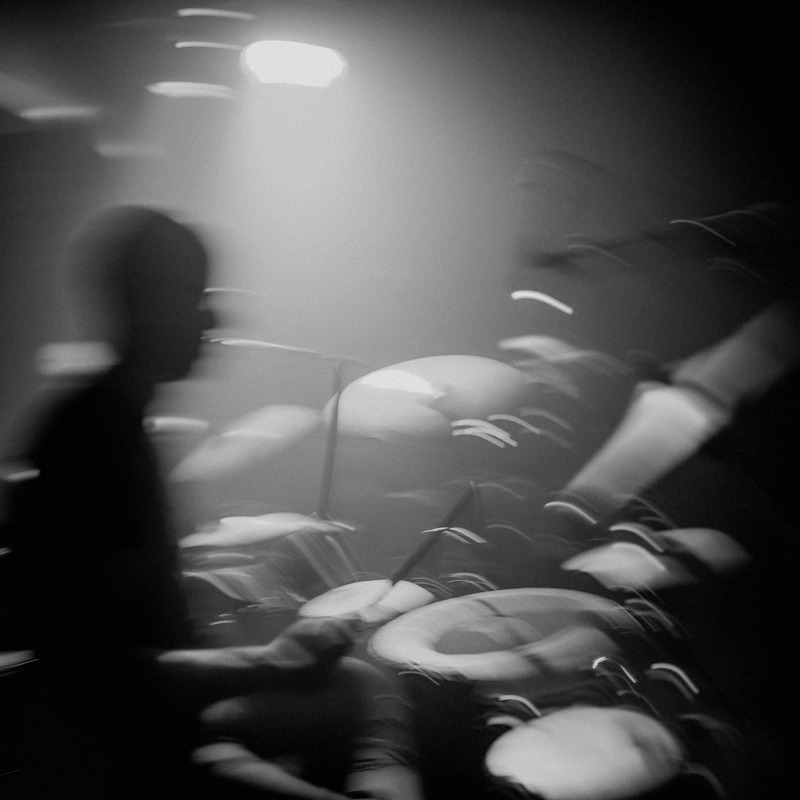 The focus is on abstract, grooving drum music. Rhythms are reduced to their elementary nucleus to such an extent that they can be perceived as clearly singular but also as universal. “Play what the drum demands,” was one of Jaki’s sayings. Together with him, DRUMS OFF CHAOS took this to heart. The album centres on rhythms that are based on simple numerical relationships allowing their richness to unfurl from within. DRUMS OFF CHAOS is reinforced by Rosko Gee and Dominik von Senger, who are driving the groove forward.